Before 2010, March 16, and the month of March in general, didn't have specific significance in my life. Because of this, it is quite interesting that I can remember exactly what I was doing/what happened many years on March 16. The reason I think I have these memories is because they are all bad memories. One year, when I was 17, I got snowed in at LaGuardia Airport in NYC for around 24 hours on March 16, the day I was scheduled to come back to NC after visiting my friend in Brooklyn for a week during spring break. That wasn't too pleasant. Another year, when I was 19, I remember getting into a big argument with someone I cared about. I remember it was on the 16th because we were celebrating St. Patrick's Day, which is on the 17th. I don't think these memories "mean" anything, but I just have found it odd as I've reflected back on March 16 in years past. 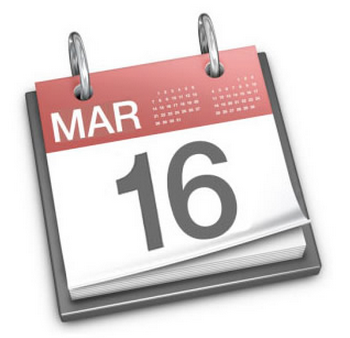 I had no idea what March 16 would one day come to mean to me. Isn't it strange that the only memories I specifically have of the date are unpleasant memories? A foreshadowing of March 16, 2010, perhaps? I wonder what meaningful dates in the future will be, that hold no significance to me currently, such as my wedding date and the birthdays of my future children. Even though March 16 is a sad day because the birthday girl is not here to celebrate, it is still a beautiful day. I enjoy having a day that's all Lily's own to celebrate, honor, and remember her. It brings Heaven a little closer to Earth.